Though many toilet problems seem minor, they can turn into major disasters, especially when ignored over a long period of time. 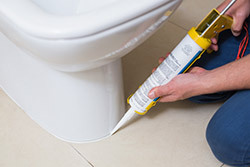 Seemingly minor issues like a wobbly toilet are often indicators of more serious problems like leaks or damaged seals. One of the most common toilet problems is a clog. In many instances, clogs are caused by broken parts, the wrong type of toilet paper or even low water pressure. A functional toilet is a vital part of any home, and only a professional plumber in Rochester NY can diagnose and correct the problem. The best way to avoid clogs and other problems is by properly maintaining your toilet. 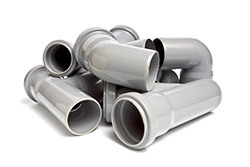 Routine pipe cleaning and sewer inspection services go a long way toward preventing problems. You should always take steps to use your toilet properly. Avoid flushing things like facial tissue, feminine hygiene products and wipes, and choose a brand of toilet paper that dissolves quickly. At GT Campbell Plumbing, we provide service in Pittsford, Perinton, Victor, Penfield, Canandaigua, Webster, Rochester, Fairport, Brighton, Irondequoit, Greece, Chili, Gates, Henrietta, Palmyra, Newark, Farmington, Geneva, NY and neighboring cities. A toilet may seem like a simple device, but it is actually made up of several components that need to work together for it to work properly. Our highly trained plumbers have the skills and training to repair and install several brands and styles quickly and affordably. For toilet repair in Rochester NY, call GT Campbell Plumbing now at 585-355-1463.